In fact, the creators of some of the most successful ransomware programs go to great lengths to deliver on their promise and help paying users decrypt their data, often even engaging in negotiations that result in smaller payments. After all, the likelihood of more users paying is influenced by what past victims report. Many ransomware creators also build checks into their programs to ensure that infected computers where files have already been encrypted are not infected again. Otherwise, some files could end up with nested encryption by the same ransomware program. The new Bitdefender tool takes advantage of these ransomware checks by making it appear as if computers are already infected with current variants of Locky, TeslaCrypt or CTB-Locker. This prevents those programs from infecting them again. 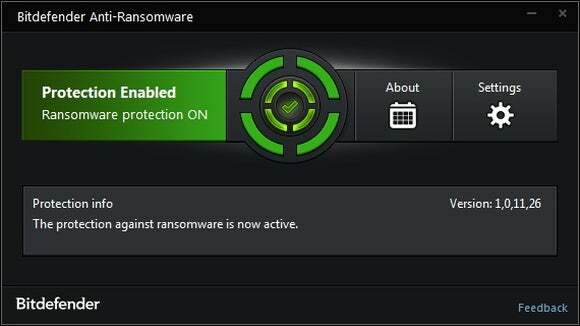 The downside is that the tool can only fool certain ransomware families and is not guaranteed to work indefinitely. Therefore, it’s best for users to take all the common precautions to prevent infections in the first place and to view the tool only as a last layer of defense that might save them in case everything else fails. Users should always keep the software on their computer up to date, especially the OS, browser and browser plug-ins like Flash Player, Adobe Reader, Java and Silverlight. They should never enable the execution of macros in documents, unless they’ve verified their source and know that the documents in question are supposed to contain such code. Emails, especially those that contain attachments, should be carefully scrutinized, regardless of who appears to have sent them. Performing day-to day activities from a limited user account on the OS, not from an administrative one, and running an up-to-date antivirus program, are also essential steps in preventing malware infections. “While extremely effective, the anti-ransomware vaccine was designed as a complementary layer of defense for end-users who don’t run a security solution or who would like to complement their security solution with an anti-ransomware feature,” said Bogdan Botezatu, a senior e-threat analyst at Bitdefender, via email.